Another highlight of our time here in Mandurah was catching up with our travelling soulmates the Leeds. We had decided to get together at the beach up in Fremantle, Woodmans Point and it just happened to be nearly 6 months to the day when we had parted ways way back when back in Alice Springs. We spent a great day with the Leeds and it felt like we had only left them yesterday. 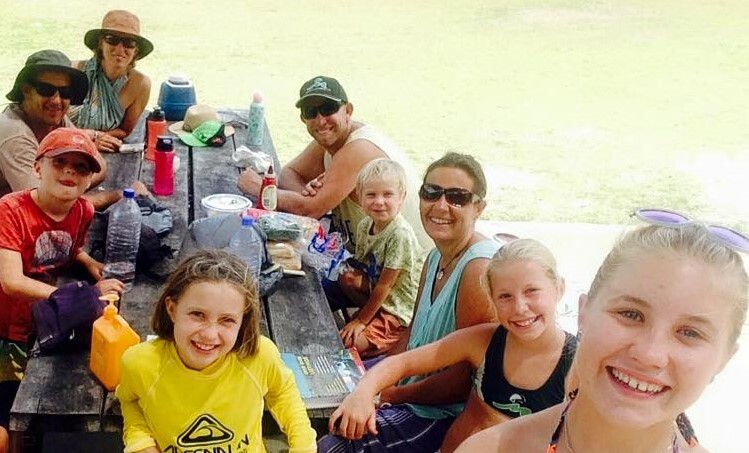 We played in the park had a bbq lunch and a few swims down at the beach. Nik, Simon and the kids also had fun jumping off the jetty, with Nik apparently performing one hell of a handstand and half somersault off the jetty and into the water…….Unfortunately his timing was off, perhaps due to lack of training and fitness……..and the half somersault into the water was more of a three quarter belly flop onto the water…. All I can say is thank god I didn’t see it, all I saw was Nik gingerly walking out of the water holding his back and not saying much…. We had a great day and realised how much we had missed travelling with the Leeds, however we did discuss future travels for when we head north, so stay tune for that one!!!! Smiths and Leeds at the park. 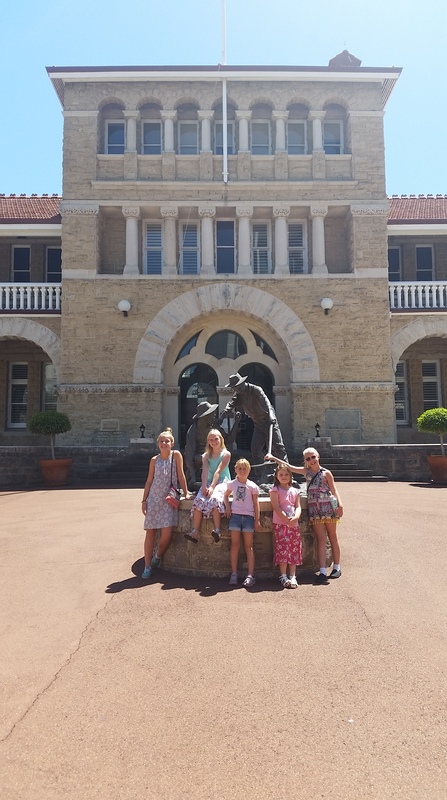 The girls at the Perth Mint. 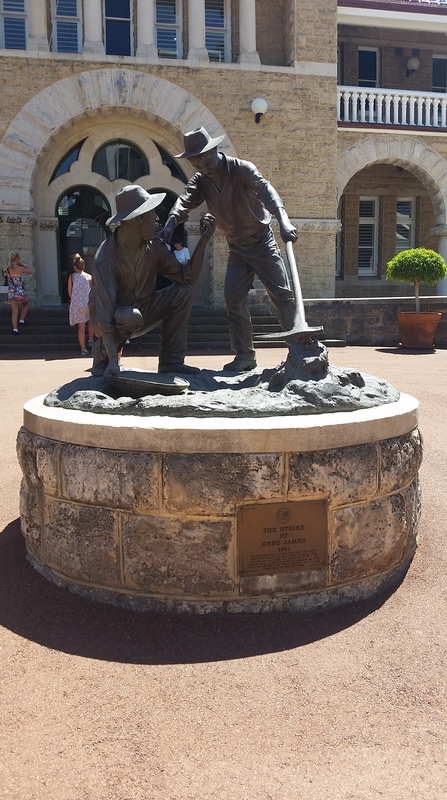 The statue at the Perth Mint. 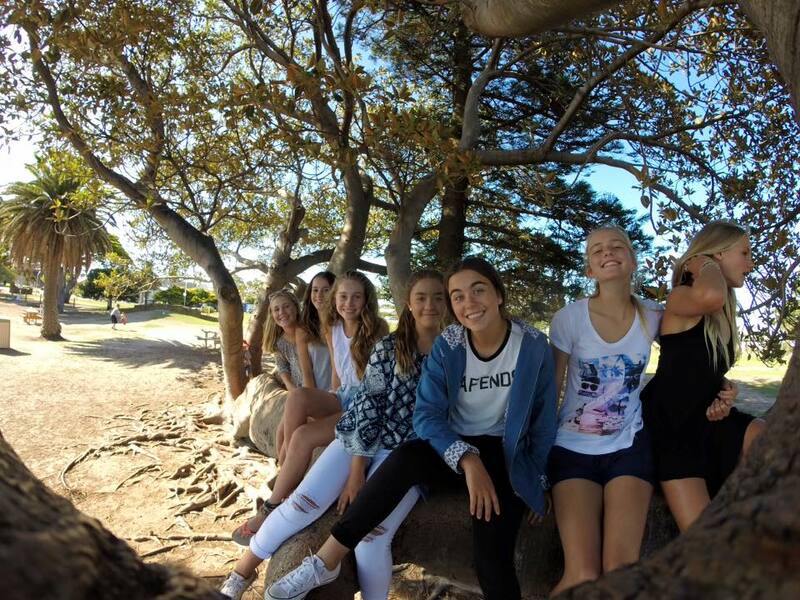 During January, Bec also used her plane ticket home and spent 2 weeks hanging out with friends, cousins, auntie and uncle and of course Nanny, Nan and GP. She had a great time, bought far too many clothes but also spent some time volunteering at a few junior life saving carnivals as water safety with Zahli. And thankfully before too long she was safely back in the van with us (much to her disgust), it took a week or two of readjusting but I think in a way she was glad to be back. 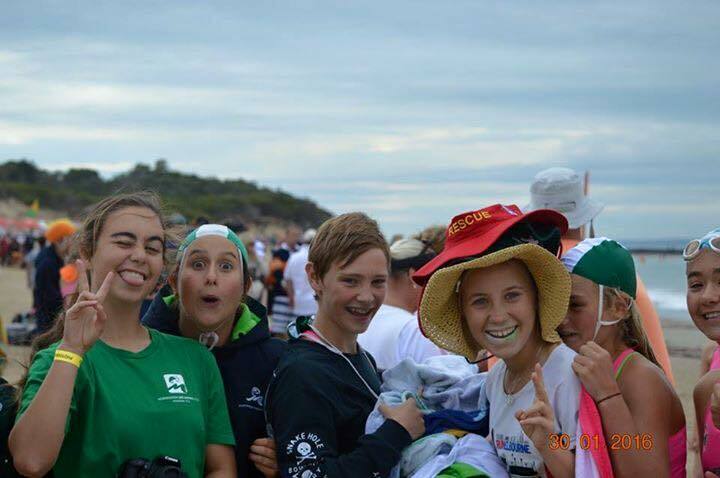 Bec and her crazy lifesaving buddies. 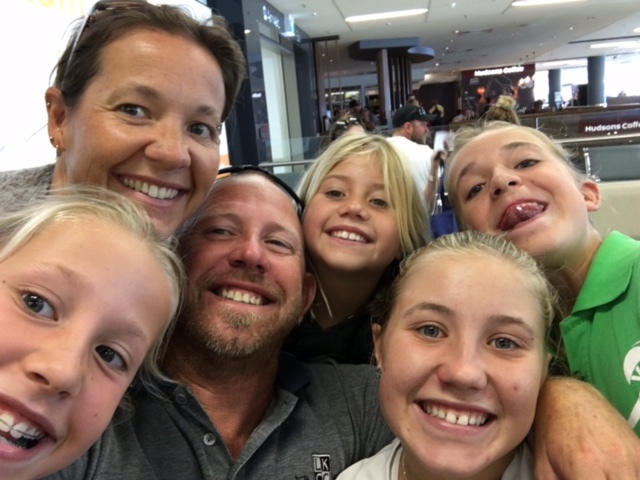 Our Smith selfie as we dropped Bec off at the airport. Previous Previous post: Mandurah part 1, WA, 2016. Next Next post: Perth & surrounds, WA.